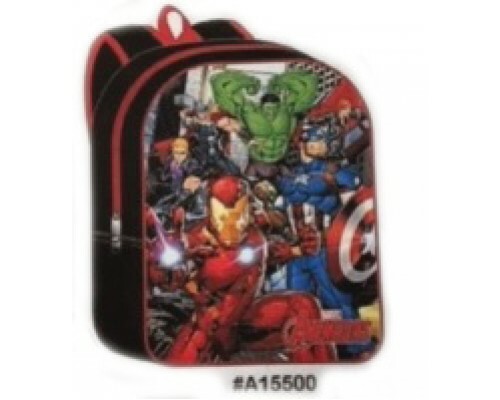 wholesale backpack in 15 inches from marvel avengers. send your kid back to school in style with a new wholesale backpack. Wholesale avengers, wholesale marvel. 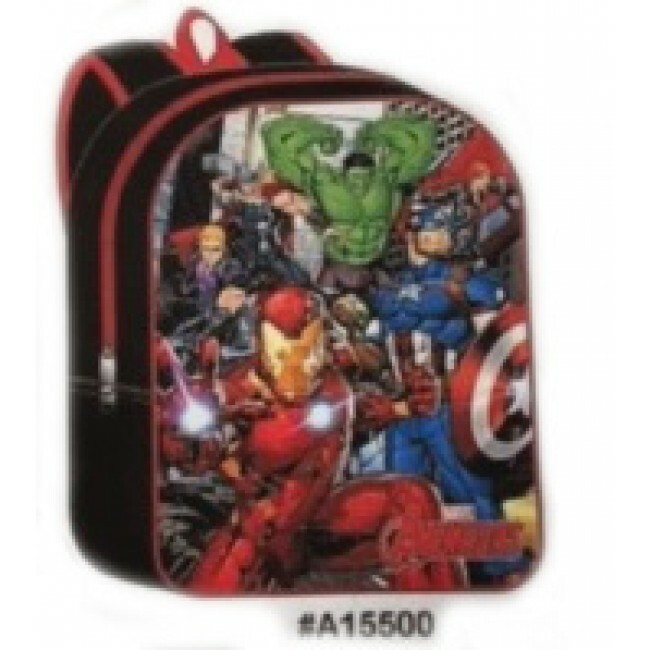 Send your kids to school in style this year with their favorite movie character on their wholesale backpack. These have plenty of room for all their school supplies in the main compartment, as well as the large zipper pouch in the front. These wholesale backpacks also feature two mesh pockets on the sides of the bag, perfect for a water bottle or snack. You can never go wrong with these backpacks for your kids. You can purchase these backpacks at wholesale price to donate to your favorite charity. Genuine licensed product.